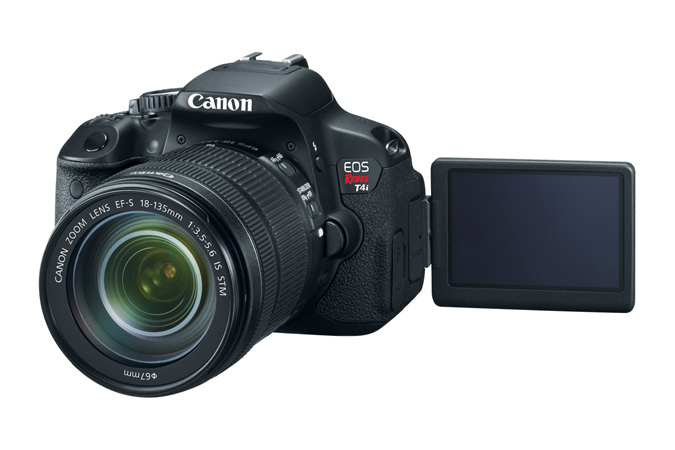 The The new EOS Rebel T4i features incredible image quality with an 18-megapixel CMOS (APS-C) sensor, DIGIC 5 Image Processor that is the first Canon DSLR that claims to offer continuous autofocus in movie mode and live view, which Canon calls “Hybrid AF”. This feature, intended mainly for video recording, is implemented through a new sensor technology in which certain pixels are dedicated to phase-detection AF (traditionally used in DSLRs) and others to contrast-detection AF (used in camcorders). When the subject is in the center of the frame, phase detection is used to identify the subject’s current location, with contrast detection then used to fine-tune the focus. Hybrid AF will be available with all lenses, but other improvements to video autofocus, specifically in smoothness and quietness, will depend on the use of Canon’s new STM lenses, two of which were announced alongside the The new EOS Rebel T4i features incredible image quality with an 18-megapixel CMOS (APS-C) sensor, DIGIC 5 Image Processor that . DPReview noted that the Hybrid AF system was similar to the focusing system of the Nikon 1 mirrorless cameras.